Adding a spouse as an owner to property is a routine estate planning. To accomplish the addition, you and your spouse must execute a new deed. Many attorneys prepare a deed for you for a small fee, but if your are familiar with legal instruments then you can make the addition on your own. Knowing how to add a spouse to your deed prevents your home from passing through the lengthy probate process, shielding your spouse from tax liability that she would otherwise be subject to. Consult your deed to ensure that you are allowed to add your wife. You may add your wife to your deed with no problem if you own your home in fee simple. If, for example, you purchased your home with a previous spouse, you may have to get your former wife removed from the deed before adding your new wife to it. If you own the property in joint tenancy with anyone else, like your children, then you'll need to get their permission to properly add your wife to the deed. Adding a spouse to your deed will, in most states, create a tenancy by the entirety. As tenants by the entirety, you and your wife will own a single undivided share in your property that is accompanied by a right of survivorship. Possessing a right of survivorship means that the surviving spouse automatically absorbs the share of the deceased spouse upon the other owner's death without having to go through the lengthy and costly probate process. Tenants by the entirety may not convey their interest in the property to another person without mutual consent. In nearly every state, spouses may own property as joint tenants. 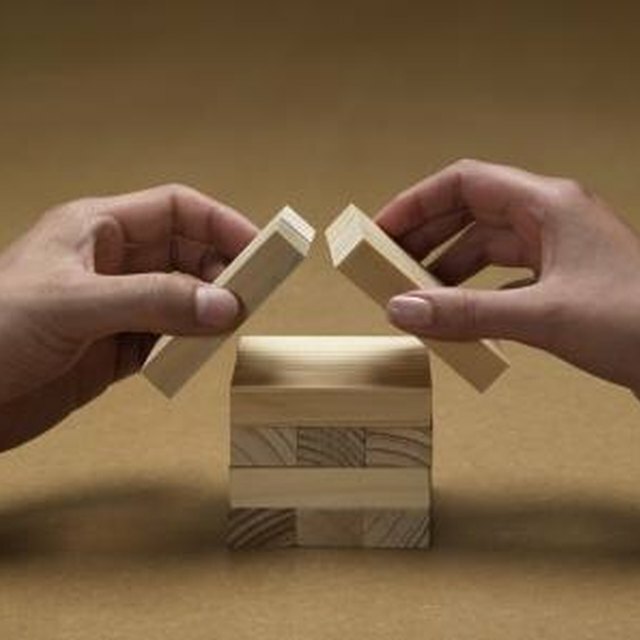 Joint tenants hold equal shares in the property and enjoy a right of survivorship but the tenancy may be severed unilaterally. Because joint tenancy is not exclusive to spouses, children or other relatives may be added to the tenancy should the need arise. Courts generally disfavor joint tenancies so, if a joint tenancy is your intention, the language in your deed should say so explicitly. Most mortgages include due on sale clauses that force the immediate repayment of the mortgage or a change in mortgage terms when the property is sold or transferred. The law provides limited exceptions to the clause for transfers between family members. The due on sale clause is not enforceable when title is transferred to a spouse or to a surviving joint tenant, which means that your mortgage terms will not change because you added your spouse nor will they change if one of you dies. Recording a deed means taking it to your county's real estate division and having the deed entered into the county's indexed public property record or grantor-grantee index. Entering your deed into the grantor-grantee index serves as notice to the public that you have conveyed an interest in your property from yourself as grantor to you and your wife as grantees. Public notice of the conveyance helps to shield you and your wife from future claims of ownership of your property by others. Keep a certified copy of your recorded deed for your personal records.